Stay in Krabi Province's best hotels! Located in Ao Nang Beach, 2.6 miles from Ao Nang Krabi Boxing Stadium, De Loft Hotel offers amenities including a terrace and a shared lounge. The room was clean with great view from terrace only 15 minute walk to beach. Excellent shower with great pressure and hot water and good WiFi Laundry service near by along with great places to eat. Boasting a terrace and free WiFi, The Phu View at Aonang is located a 6-minute drive from Ao Nang Beach. The rooms and bathroom were well decorated, well furnished and clean. The balcony is a good site for panoramic viewing. The staff was very welcoming and devoted. You will enjoy your stay at The Phu View at Aonang because it's located in accessible area with all shopping centres/malls in walking distance. Located in Ao Nang Beach, within 2.6 miles of Ao Nang Krabi Boxing Stadium and 7 miles of Dragon Crest Mountain, Aonang Sea Valley Resort provides accommodations with an outdoor swimming pool and free... I really like this resort because it is very clean, their staff very helpful, its near to everything. Very good. Kokotel Krabi Oasis is located in Ao Nang Beach, a 14-minute walk from Ao Nang Krabi Boxing Stadium. Their staff was friendly and really helpful. Modern rooms and good breakfast at a very competitive price. Close to good restaurants and 5 minutes walk from Ao Nang beach. Located in Ao Nang Beach, a 10-minute walk from Ao Nang Krabi Boxing Stadium, S2 Residence has rooms with free WiFi access. Everything was ok. Super friendly and helpful employees at reception. There are some rooms without any window, but it wasn't a problem for me. To the beach its around 15/20 minutes by walk. Aonang its a beautiful place to rest. Located in Ao Nang, 1.2 mi from the beach, Aonang Lodge features an outdoor pool and views of the cliffs. Guests can enjoy the on-site bar. Pretty much everything! From the location (a bit off the main street so it was quiet) to the building (two storey loft with air-conditioned bedroom upstairs) to the pool, views, host, breakfast, support for tours, bike rental and I could go on forever. If you are going to rent a bike - which you should anyways - or don’t mind walking 20mins to the beach that’s the perfect place to stay in Ao Nang Beach. The hosts are extremely friendly and helpful with every need you might have. Pat is even cooking breakfast (pls try the pancakes 😍) every morning. All in all we had a wonderful 4 nights stay and will definitely recommend this place to everyone we know, and for sure come back next time! i-Style Lanta Boutique House is located just 0.7 mi away from Klong Dao Beach and 1640 feet from Kaw Kwang Beach. Everything. Great value, a location with character, and welcoming hosts. Featuring a private beach area and an outdoor swimming pool, Lanta Casa Blanca is located in Ko Lanta, 4.2 miles from Saladan School and 4.3 miles from Police Station. the property is brand new and looks very fresh. Located in Krabi, within 1.3 miles of Wat Kaew Korawaram and 1.6 miles of Chaloem Rattanankosin Stadium, Sita Krabi Hotel provides accommodations with a terrace and free WiFi. I can’t say enough good things about this place! 10/10 recommend! Lanta White’s House features free WiFi and views of sea in Ko Lanta. 5 miles from Post Office Ko Lanta, the property is also 5 miles away from Lanta Old Town. Had Hin Ngam is 7 miles from the hotel. The room is very big, clean and comfortable. Lanta noblesse features free WiFi and views of garden in Ko Lanta. 1.8 miles from Saladan School, the property is also 2 miles away from Police Station. The property provides a 24-hour front desk. Wonderful hotel. The hosts made you feel like you were home. Will return. Located in Ko Lanta, Arthaya Villas has an outdoor swimming pool, garden, terrace, and free WiFi. 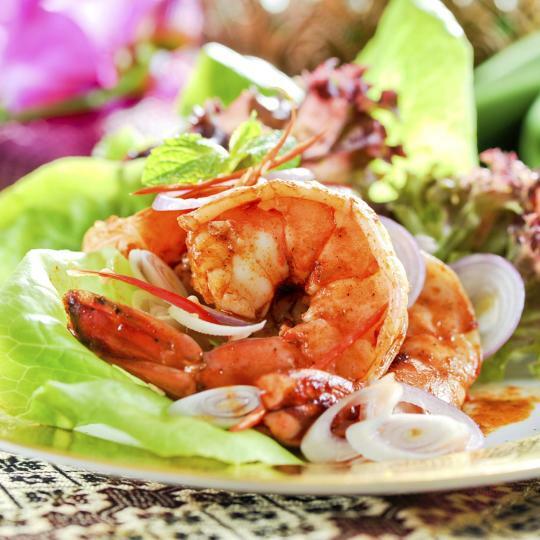 Located in the Klong Khong Beach district, the property provides guests with a restaurant. Ya, the owner is very helpful and knowledgeable. The property is close to the beach. Located in Ao Nang Beach, within 2.8 miles of Ao Nang Krabi Boxing Stadium and 5 miles of Dragon Crest Mountain, Boutique Village Hotel has free bikes. The owners were absolutely wonderful and took care of our every need. Wake Up Aonang Hotel is a short walk from the Ao Nang Beach and free WiFi is available. Guests can enjoy meals at the on-site restaurant. Great location, very modern and clean hotel. With the peaceful Nopparat Thara Beach across the road, Maneetel Krabi Beachfront offers comfortable accommodations, and outdoor pool and free WiFi access. Gorgeous room and the WiFi was strong enough for uploading files. Rare in Thailand. Lada Krabi Express has rooms in Krabi. Featuring a terrace, this property is located a short distance from Wat Kaew Korawaram and Chaloem Rattanankosin Stadium. This is the 2nd time staying here. Super clean, cosy. 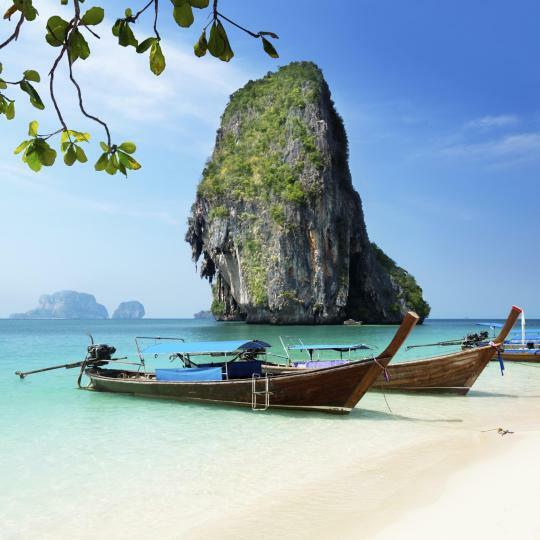 Panmanee Hotel is located in Phi Phi Don, a short 2-minute walk from Ton Sai Pier. Free WiFi access is available. All air-conditioned rooms come with cable TV, chairs and a refrigerator. Big rooms with all facilities, great location, excellent staff. Featuring free WiFi, a spa center and an outdoor pool, BlueSotel Krabi is located in Aonang, about 1.4 mi from Nopparat Thara Beach. Rooms boast stunning views of the surrounding limestone hills. Everything of the hotel room is nice, comfort, meet our expectation. Featuring an outdoor pool and a restaurant, ibis Styles Krabi Ao Nang is in Aonang Beach. Great clean room, good breakfast, great pool. Free shuttle to and from the beach every hour. Le Anda Krabi is a 3-star property set in Krabi town. This 3-star hotel offers free shuttle service, a 24-hour front desk and free WiFi. All rooms have a flat-screen TV with cable channels. We loved staying at Le Anda - the staff was super helpful and helped us with everything. River Front Krabi Hotel has air-conditioned accommodations in Krabi. With a garden, the property also features a terrace. Free WiFi is at guests' disposal. Best hotel so far ... Super clean.. breakfast was just superb. All together perfect. Located in Krabi town, The Guest Hotel offers a shared lounge. With free WiFi, this 3-star hotel offers a tour desk. The staff was very nice. The room had a king-sized bed. Located in Krabi, a 6-minute walk from Chaloem Rattanankosin Stadium, Krabi River Hotel has air-conditioned rooms with free WiFi. Very friendly staff. Very clean rooms. 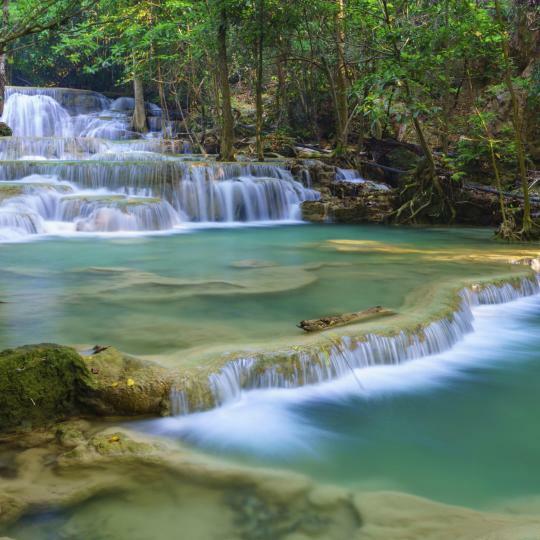 Located in Krabi, within a 15-minute walk of Wat Kaew Korawaram and 1.1 miles of Chaloem Rattanankosin Stadium, Krabi P.N. Boutique House has a terrace. really nice staff, helped me with all my questions. offered to help with booking bus ticket etc. The steep climb requires some stamina, but the reward is well worth it with stunning views of the island. 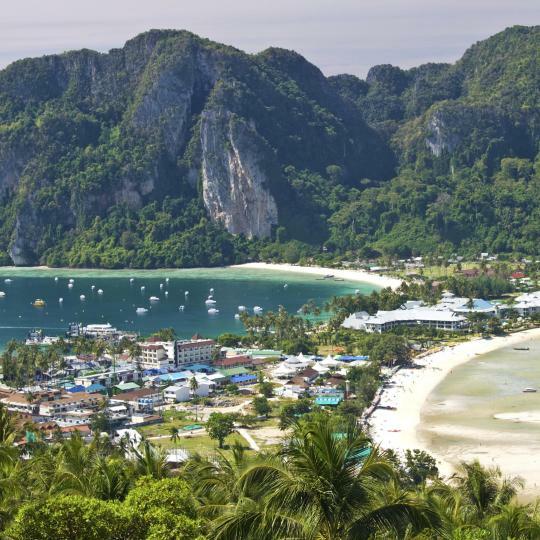 This area is best visited by sea and boat trips of all shapes and sizes go from Railay Beach. Learn the fine art of Thai cuisine in this excellent professional kitchen, where profits go to a local charity. 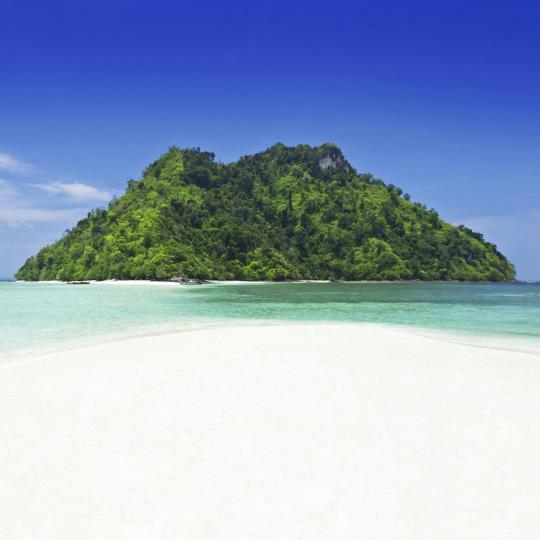 This ‘miracle beach’ only appears for 5 days around the full moon from December to May, linking two islands together. 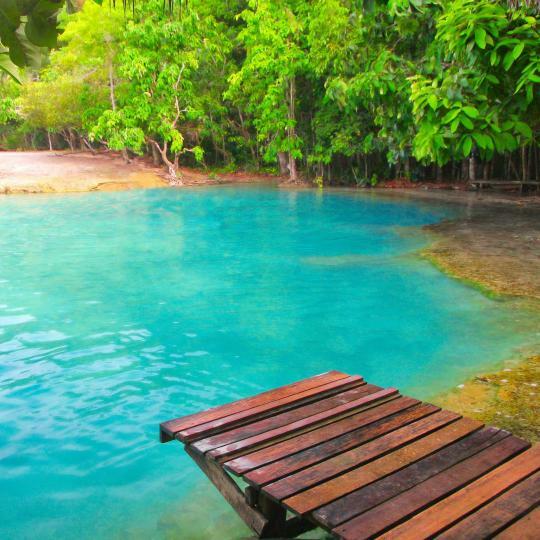 Take a cool dip in this turquoise pool, replenished by natural springs and surrounded by lush forest. 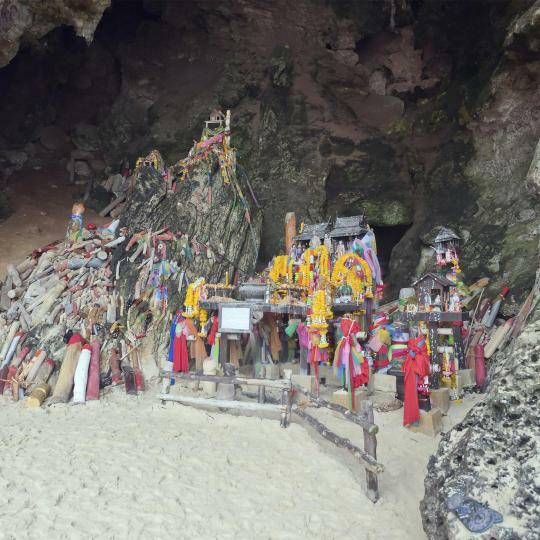 Hop on a boat to Railay to reach this shimmering cave, filled with stalactites and an impressive phallus shrine. 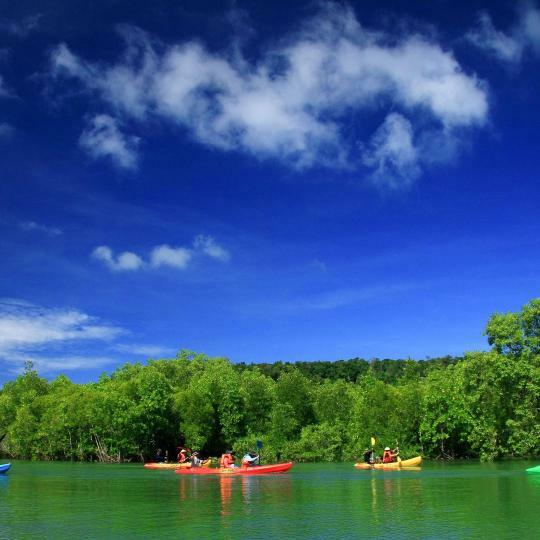 Renting a sea kayak is a fantastic eco-friendly way to explore Thalane Bay, covered in caves, cliffs and mangroves. 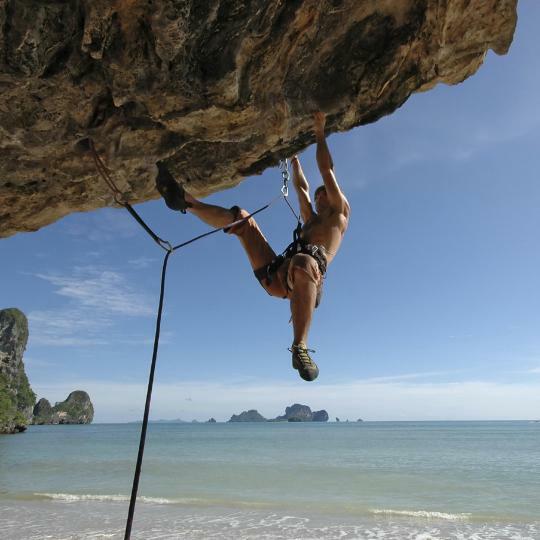 Railay is quite possibly one of the world’s best climbing spots, with routes for all levels and stunning vistas. From caves with pre-historic drawings to trekking through forests and mangroves, this is a paradise for eco-tourism. 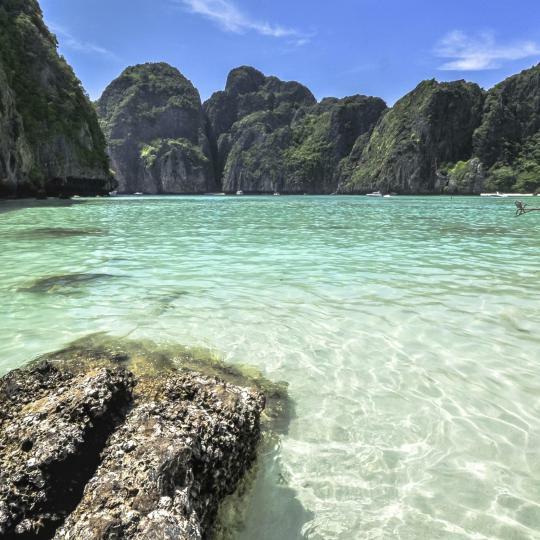 Maya Bay famously featured in the film The Beach – follow in DiCaprio’s footsteps along the silky sands and turquoise waters. It was a great base for our days in Krabi Province. Ao Nang is quite touristy but has good links to the islands and Railay which is why we picked it. There are spots of paradise but you have to look a bit harder. Marina Express is well located and set back from the road so you don't get too much noise. It's such a incredible place to stay. Very well located at the Raily Beach West Side, 02 minutes walking from the Walking St, or 05 minutes walking to the east side, about 10 minutes walking to Phra Nang Beach and Tonsai Beach, both beaches are Wonderfull, place for kayaking and a lot climbing. The breakfast is gorgeous and staff are so kindly. In addition, we can have Raily Beach West Side just in front of you and then chill out for a little while at the swimming pool. I highly recommend! Everything was perfect, it was like being in a whole new world, in a dream. Our private pool villa was impressive, breakfast was superb, the gym was first class, staff was incredibly friendly and helpful, views from the resort to the bay are probably the best in Koh Lanta. I could go on and on, but I'm running out of adjectives. Stay here and thank me later. Friendly staff.. value for money.. Next time sure I’ll opt this hotel.. if u prefer a quiet and calm stay this is it.. hire a motor bike and u can roam around.. receptionists Rattam and Ayoub where helpful.. I took Hong island tour package from the hotel with a great price..
Everything of the hotel room is nice, comfort, meet our expectation. Some more, the location of hotel is convenience and the tuk tuk truck bus stop just right in front of hotel. Highly recommended for those on vacation and honeymoon. The location...is grandios...like in the booking.com pictures. You can easily to go to Pha Nang Cave...to Railay Est...or in Aonang by boat at 100 baht. The staff was very professional and help us with all information that we need. Best pool I've ever seen. Great free breakfast with lots of options. Location was great for dining and a short walk to the beach. The room service was great and was even cheaper than most restaurants nearby. Everything is fabulous. The property's domain is a paradise and the conditions are really exquisite: the beach, the breakfast, the cleanliness, the landscape. Exquisite! Everything about the Property was very good staff were friendly. The staff put an excellent New Years dinner together food, decor and entertainment was brilliant. Great location, just in front of Karon beach. Staff was so cheerful and polite. The receptionist 'Bud' was extremely hostile. Great location. Nice spacious rooms. Bath and shower in bathroom. Good buffet breakfast. Staff very helpful and friendly. Eggs station at breakfast. Awesome pool.